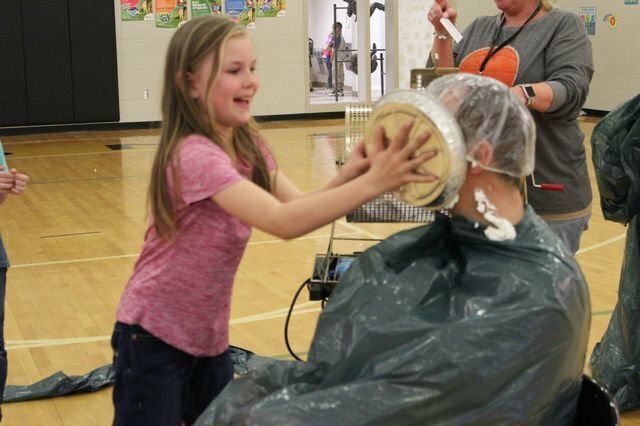 MLK Staff took pies in the face for Rotary. MLK was happy to raise $2, 341.00 for this year's Rotary Auction. Students raised money through buying pickles, lunch on the lawn, crazy socks, hat day, and pickle pops. MLK students (with a little help from a few Colonels and Tigers) challeneged the Rotary members. MLK won! Students were also able to purchase a raffle ticket to throw a pie in a MLK staff members face. A fun time was had by all!